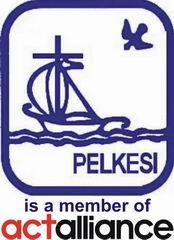 The member of Pelkesi are spread all over Indonesia and varied from foundations, general hospitals, materinty hospitals, mother and child hospital, clinics, health institutions and health academics, and also individuals (health professionals). 1. Region I : All Sumatera except Lampung, Riau archipelago and Bangka Belitung. 2. Region II : Lampung, Jakarta, West Java, and all Kalimantan except East Kalimantan. 3. Region III : Central and East Java, Yogyakarta, Bali, and Nusa Tenggara. 4. Region IV : East Kalimantan, all Sulawesi, Maluku and North Maluku. 5. Region V : All Papua.